If you are a frequent user of IMessages (posts) sure you've encountered the following problem: the messages that you send to your mobile phone number listed in a different conversation from which you send your email. And so if you have multiple email accounts configured. Now with Merge, a tweak that has appeared in Cydia, can s unify all your conversations in one, so you will see all messages that you send the same person whether you send them to your email or phone number. As you see in the picture to identify where each message sent with a small gray tab that contains the address of the account being used. You can download it for $ 1.49 in Cydia, you'll find it in the ModMyi repo. You need to have done the jailbreak on your device. 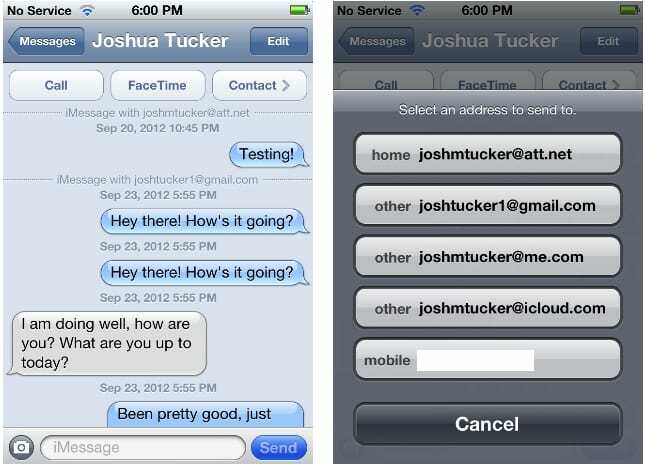 Article Merge: iMessage unifies your messages (Cydia) was originally published in News iPhone .